Founded by a former Google and Twitter engineer and backed by Andreessen Horowitz, Envoy aims to digitize office management. Its first and core product is Envoy Visitors, an iPad app that streamlines registration. The app handles everything from guest badges to NDAs and is used by the likes of Airbnb, GoPro, and Yelp. The San Francisco-based team has followed up with Envoy Deliveries, an app that makes handling packages easier and mailroom management smarter. Eventually, Envoy’s vision is to be a complete answer for smart offices, replacing outdated processes like booking meeting rooms, as well as offering innovative solutions for new challenges like tracking remote employees. Above all, the company cares deeply about making the lives of their customers easier and their workdays more delightful. At Instabug, we’re proud to support Envoy’s journey by providing bug reporting for their beta and production apps to help them keep their customers happy with reliable mobile products. We spoke to Wells Riley, Envoy’s Head of Product and Design, to take a peek under the hood of the company’s bug reporting process. Can you tell us about Envoy? At Envoy we try to make tech solutions that seamlessly weave into the workplace and make people happier and more productive and make the office a way better place to be. That started with our first product, which is a visitor registration app for iPad that makes your lobby beautiful, seamless, and fast. And then we’ve also built a project that handles personal packages and deliveries for the office. What do you like most about Envoy? My favorite thing is our customers. Everybody works in an office, but you’ve got people who are there to support the team and the space, whether that’s an office manager or a facilities manager or receptionist, and they spend so much time supporting everybody that they don’t have people supporting them. Since Envoy is that kind of product that turns them into a superhero, they absolutely love our products and they love that we care so much about what we do. That makes it so much easier for us to reach out to them, get feedback, do case studies, and learn about how people are using our products. It’s so rewarding compared to coming from a consumer space and you don’t really know your customers and aren’t allowed to talk to them. How do you maintain reliability in your apps? We use Instabug in production. I think it’s totally stupid that no one else that I’ve ever seen does because why do you want bug reports only from people that have agreed to send bugs? It’s easy for the support team when they’re talking to a customer and they’re having a problem with the device, they can just tell them to take a screenshot, it’ll pop up the Instabug interface, and it’ll send us the screenshot automatically, which is really nice because if there are any errors on the screen that the customer maybe forgot to tell us about, we can see them there. Then also we get all the metadata that we need to diagnose, whether it’s a problem with the network or a problem with the device or a problem with the app. We get lots and lots of logs, so it gives us a lot of data to go off of. We have found problems that didn’t show up in our analytics, that didn’t show up in our infra metrics. We didn’t see PagerDuty reports, we didn’t get bug reports from customers, but we’ve seen stuff come in through Instabug saying, “My iPad can’t sign in visitors”. And then ten minutes later, another customer will say, “My iPad can’t sign in visitors”. And then a third one. And then we realize there’s clearly a problem here that we’re not hearing from support, but some customers have identified. We wouldn’t be on top of those things if we didn’t get those Instabug reports. 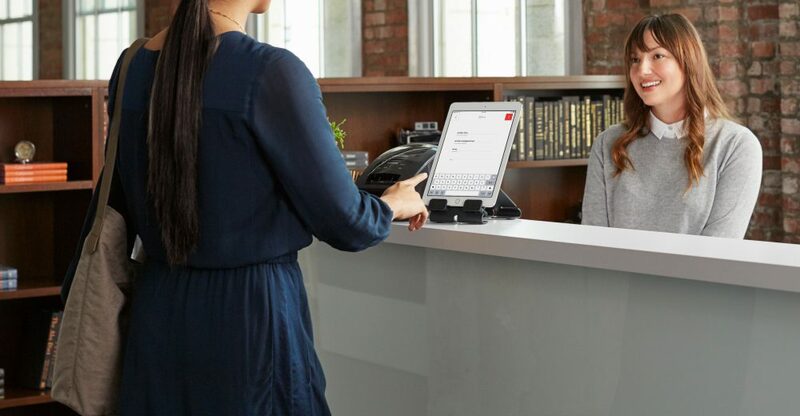 The Envoy Visitors iPad app streamlines office visitor sign-in and pairs with a mobile app, Envoy Passport, for smarter office management. How do you handle bug reports? We send all of our Instabug reports to Slack and we don’t just lump them all into a random channel, we put them in our mobile development channel, which a lot of people are subscribed to because we’re a very open company and people like to see what other people are doing. It’s cool to see all of the bugs come in, especially over the weekend when there isn’t a lot of chatter going on, because it gives a lot more transparency to the problems our apps are facing. Instabug helps us remember that this isn’t a perfect product and there are some problems, but we’re transparent enough about the problems to show them to everyone so that they’re not just hidden in Jira somewhere that you never even hear about them. And it’s nice because then the support team is aware of it and the sales team is aware of it and when we actually reach a resolution for something wrong, it’s much easier to share that context without turning it into some big post-portem. It’s also nice that we can specify things to go into the custom logs that get submitted because the support team has requests. For example, they ask to collect logs on this or add more verbose logging for that, because if they have a lot of support requests coming in at one time, they’re all sort of around the same issue, but we don’t have visibility about it. Issues automatically get forwarded to Jira and once a week we do a bug prioritization exercise with the engineers and the PMs and the support team. Some things are fairly minor, some things we can’t reproduce. Sometimes, people send us logs because they want the support team to see something but it’s not necessarily a bug. We prioritize everything including bug reports we get from other sources as well. It all goes into that queue and we knock out the biggest and most painful bugs as quick as we can. How do you handle beta versions of your apps? Everybody in our company gets beta versions of our iPad and mobile apps, so everybody in the company has Instabug installed on them. We also have some customers who have agreed to be beta testers and they just use the TestFlight or buddybuild version of our app in production. With Instabug, it’s nice that we don’t have to worry about how to collect feedback, or having to set up a Slack group for feedback or anything like that. We communicate via e-mail and we just tell them that if they have any problems, if they notice anything weird or if anything’s broken, to snap a screenshot and send us a bug that way. The Envoy Deliveries app records packages and notifies recipients just by snapping a photo. 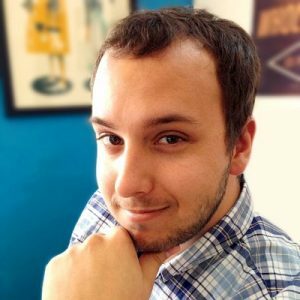 Why did you turn to Instabug for bug reporting? We found that we weren’t getting issue reports early enough. Sometimes it’s a problem with us, sometimes it’s a problem with the device or a problem with their WiFi network or something. The problem we were trying to solve at Envoy, especially with a kiosk product like ours, is that you have one person set it up, and they go to a different floor or they go to a different job, but you have people constantly using our product. It’s 24/7 use of our product by people who are not too familiar with Envoy and are definitely not responsible for Envoy. For example, receptionists might not be the person responsible for tech support. Lobbies are down on the ground floor and some companies have very delicate infrastructure set up, for example to bridge the gap between the 19th floor and the ground floor because they want to be on their own network and the building won’t let them do it. So they set up this weird cellular-based VPN and then they say, “The Internet’s not working”. Well, that’s not a bug in the app, that’s the fragile Internet set up. And of course we have no way to diagnose that when someone sends us an Intercom message saying, “Envoy’s not working”. They don’t say, “Our fragile cellular-based VPN is not working”, they say, “Envoy is not working”. So if they’re in San Francisco, we used to send people out to their offices, send an engineer with a Mac that has Xcode installed on it so that they can pull logs from the device. We tried to get people to send us crash reports and we tried using other products that send crash reports, but it was limited — we got crash reports, but we still didn’t know what was happening when the app was broken and it wasn’t crashing.